Strung Schlappen is the longest, webbiest feather you will find. Strung Schlappen is the longest, webbiest feather you will find. 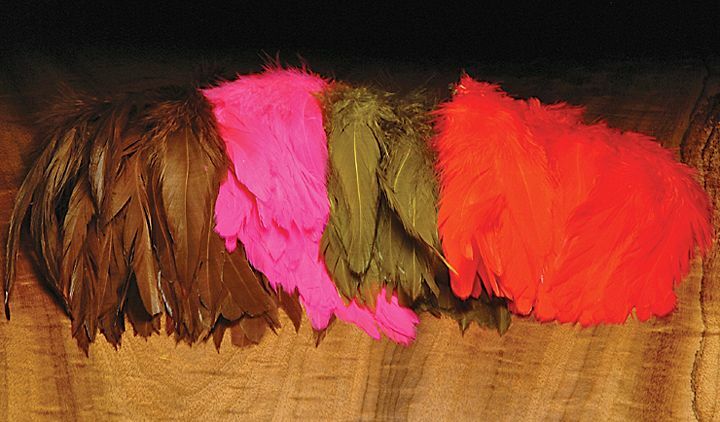 These feathers measure five to seven inches long. Schlappen is key for many spey and saltwater fly patterns. 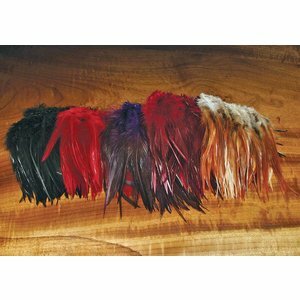 Schlappen can also be used to hackle oversized wooly buggers. Each large package contains approximately 1⁄4 ounce of material. Please specify color. Indian Hen Necks shine when used for nymphs and soft hackle wet flies. The fibers are soft and webby. You won't find hen feathers that are softer. 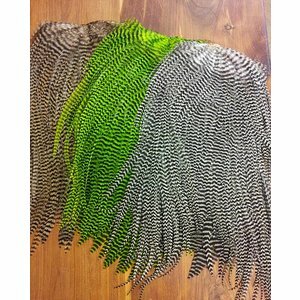 Strung Saddle Hackle, 5" to 7" long. Super quality dyed over white and long enough for most streamer patterns! Spey Hackles, Excellent quality! XL hackles for steelhead, spey and salt water flies. 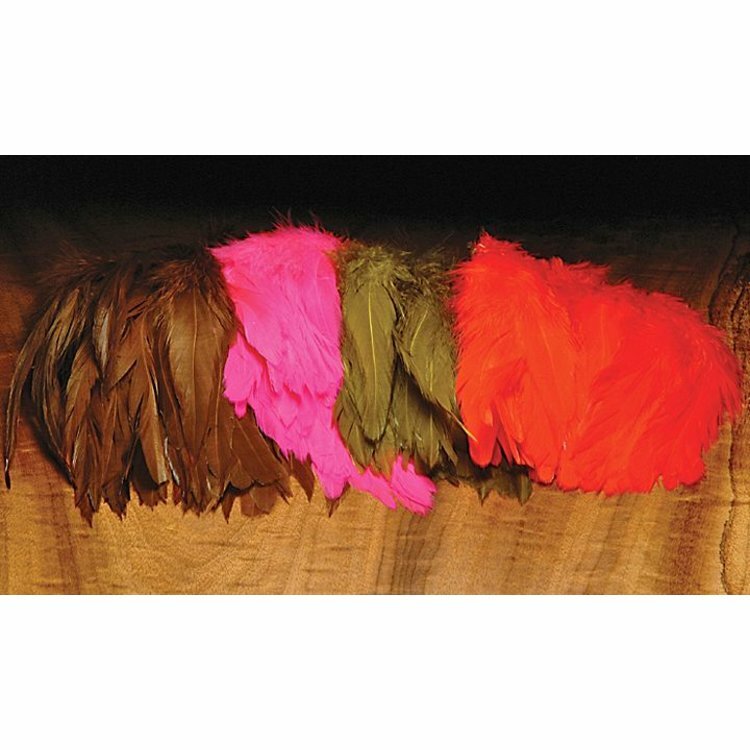 Metz Magnum Saddle Grade #2, Spectacular long Magnum Saddles feathers are in a range of colors.